Here is an application tool that I wrote in C# to compare two folder locations to make sure that files are present in both locations and they are identical. Updated to include a backup feature. 1. 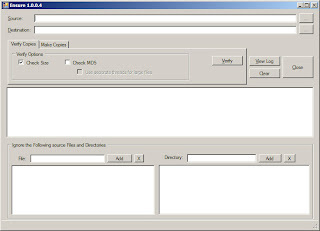 The tool compares two directories looking for files present in one but missing in the other, missing files are reported. 2. 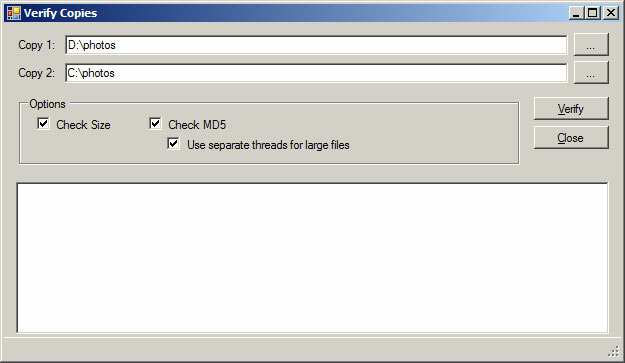 If matching files are found and "Check Size" option is selected the tool then makes sure that both the files are of same length, otherwise mismatch files are reported. 3. The third and the final option is to make sure that the file contents are identical, this ensures that there are no errors in both sources. This is done by calculating a MD5 checksum on both file sources and comparing them for equality. 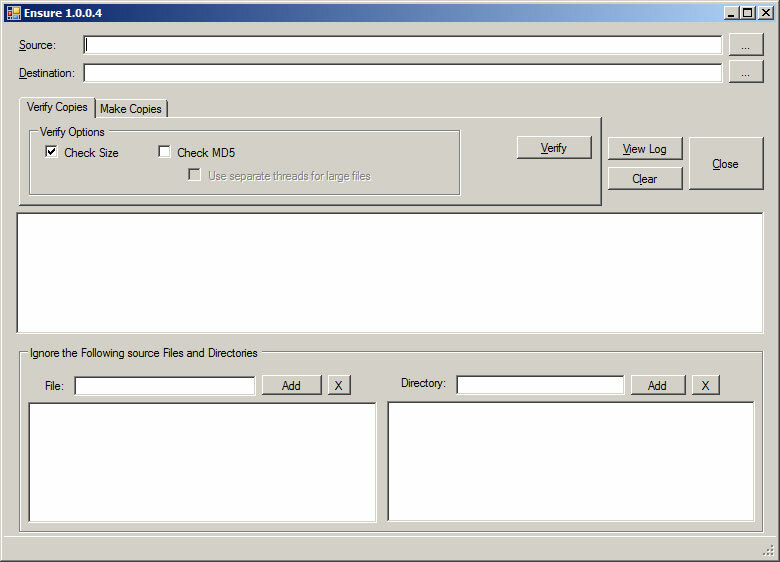 This check is only performed if "Check MD5" option is selected. There is also an optimation option for large files, by checking on "use separate threads for large files" 2 separate threads are used to calculate MD5 on the two sources. The programs are provided as is without any guarantees or warranty and I am under no obligation to provide support, service, corrections, or upgrades to this tool.